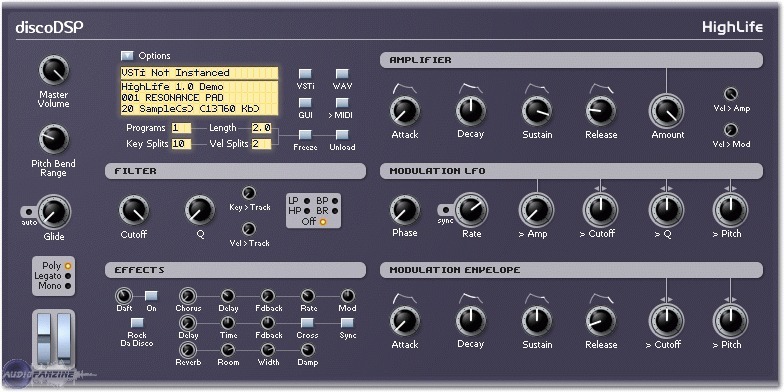 HighLife [Freeware], Virtual Sampler/Sample Player from DiscoDSP. 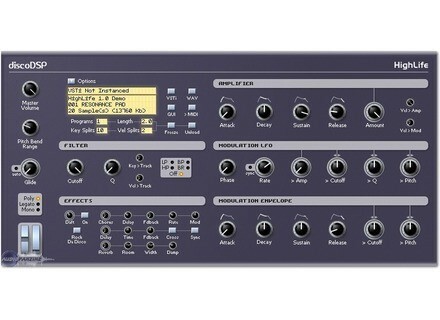 This handy little sampler VST, you can edit the wave file to fine-tune the loops, choose a mode to play legato and glide to a sample keyboard, set effects, and a host of other options. A good and very practical in his Swiss Army knife possder plug set free.